Product prices and availability are accurate as of 2019-04-19 23:40:53 UTC and are subject to change. Any price and availability information displayed on http://www.amazon.com/ at the time of purchase will apply to the purchase of this product. 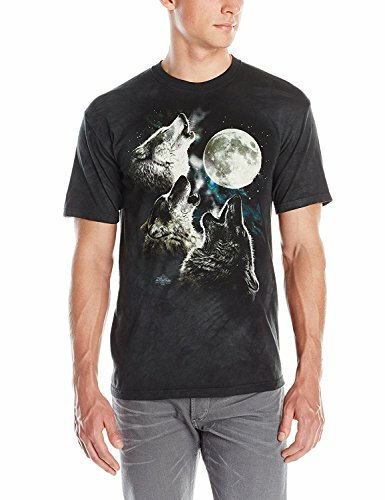 Hand dyed shirt featuring a stunning screen print of 3 wolves howling at a moon on a preshrunk, 100% cotton tee dyed and printed by the mountain.